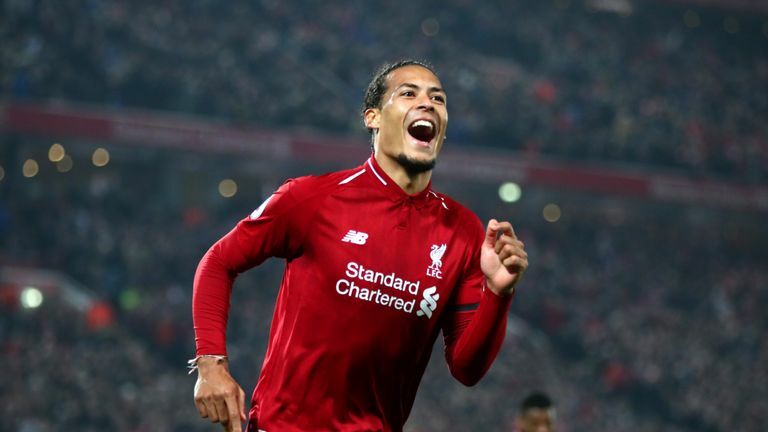 Virgil van Dijk is a class act who makes the art of defending look easy, according to former Liverpool forward Luis Garcia. Van Dijk has been a rock at the heart of Liverpool's defence, playing a pivotal role in helping the Reds claim 17 Premier League clean sheets this term. The Dutchman has also been in a rich vein of form at the other end of the pitch, scoring four times in his last six matches, including a goal for the Netherlands in their 4-0 win against Belarus on Thursday night. Garcia, who is back on Merseyside to take part in a Liverpool Legends game against Milan Glorie this weekend, says Van Dijk's performances are a major reason why Liverpool are in the hunt for the title this season. "Van Dijk makes it look easy," Garcia told Sky Sports News. "I think he is one of those top players that you need in your team, not only because of the way that he plays, but also because of the personality and the character he brings on the pitch. "On the pitch he is always in the right place all the time. He's got the tempo of the game [under control]. Sometimes he leads from the back if he wants to go fast or go slow [and] it's very difficult to find players like this. "That's why he has been so important for Liverpool this year, and of course he will be challenging this year for the title." The game between Liverpool and Milan this weekend will see 17 players from the epic 2005 Champions League final in Istanbul reunited. Milan boss Gennaro Gatusso, and fellow Rossoneri icons Paolo Maldini, Andrea Pirlo and Kaka are among the players lining up for Milan Glorie at Anfield on Saturday. The Reds meanwhile, will field a team including Steven Gerrard, Jamie Carragher, Sami Hyypia and Jerzy Dudek. "Hopefully we can have a good game," Garcia said. "I know the game probably won't be as fast as it used to be, but we will try to do our best. "But it's fantastic for us to be here with the LFC Foundation, and for all of the players to help support all of their great causes."